I hope you enjoyed reading the #BlogFlash2012 posts as much as I did writing them! Now I have some exciting news – I’m preparing for the launch of Heart Search: Lost (is that a few hurrahs I hear?? Lol) through Myrddin Publishing. I will be running a blog tour with giveaways and I thought, what better way to start kicking things off than by sharing the news with my faithful followers. I’m looking for people who would be willing to support the blog tour by hosting reviews, interviews and blog posts and as a thank you for your ongoing support, I thought I’d give you the first opportunity to jump on board the tour bus before I advertise it further afield. The tour will run for two weeks and I want as many people as possible involved. However, I will be limiting the number of reviews of the book and it will be allocated on a first come first served basis. Also, because of the content in the book and the genre, it would help if reviewers are fantasy fans! So we get an even spread of coverage, each person involved will be allocated a date for their post to appear. If you are interested in hosting on the tour please either leave me a message below or email me at carlie-c2011 AT hotmail DOT co DOT uk and put ‘Blog Tour’ in the subject line, stating which you would prefer to do. I will hold off advertising outside until Friday 7th September, so you’ll need to get back to me by then. 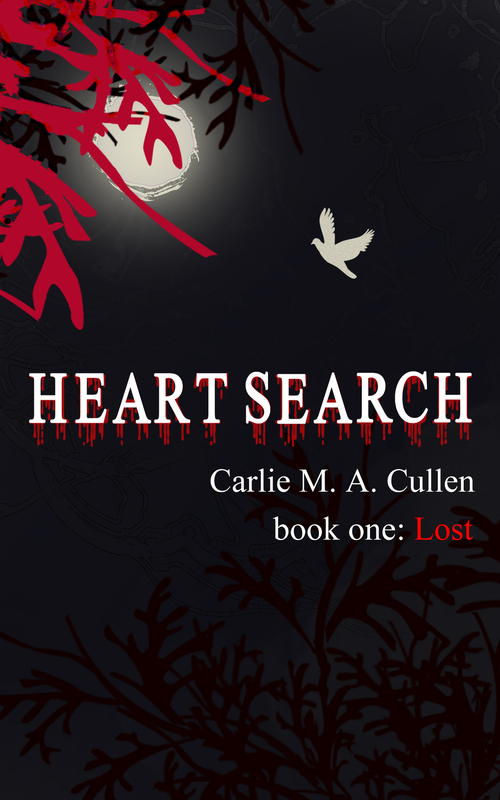 This entry was posted in Heart Search: Lost and tagged #BlogFlash2012, blog posts, blog tour, cover, fantasy, followers, giveaways, Heart Search: Lost, hosting, interviews, launch, Myrddin Publishing, reading, reviews, tour bus, writing by Carlie M A Cullen. Bookmark the permalink. Count me in too! You can’t host a blog tour without visiting your editor’s! Thank you for your support. Thank you also for the tip about Goodreads – I’ll definitely consider that. Your good wishes mean a great deal to me – thank you, my friend! Hi, Carlie. I like the cover. I’m unveiling a cover on tomorrow’s blog as well. Covers aren’t easy, are they? Yours looks good. I hope mine is received as favorably as yours. Wishing you every success with your release. Thanks – I love it. I was given a choice of about 8-10 covers, but this one just stood out by miles. I didn’t do it myself – it was done by a wonderful lady called Nicole Antonia Carson. I’m sure your cover will be received favourably! Thanks for your good wishes and I wish you every success with yours too! Thank you for your very kind offer to help promote the book with tweets and facebook – as they say, every little helps – and I really would appreciate it! Thank you. Send me the link to your blog when it goes live – maybe I’ll be your 1st follower 😀 Good luck with it! Oops, that should of course have been ‘enticing’!